2. *Dementia is caused by diseases of the brain. This is our second key message. In the same way that any other organ can be damaged by disease (e.g., kidney disease, liver disease), dementia is caused when diseases physically damage the brain. Imagine that the brain is a collection of thousands of fairy lights, each representing a memory, a skill or a function of the brain. Now imagine that dementia is causing some of those lights to flicker, dim or switch off completely. For each person this will happen in a different order and different “lights” will be affected. Just like with other diseases, a healthy lifestyle that features regular exercise, a balanced diet and not smoking can help reduce your chance of developing dementia. What’s good for your heart is also good for your head! At any one time, one in fourteen people over 65 has dementia. *There is more to the person than the dementia. This is our fifth key message. In the same way that we would look at someone with cancer or diabetes and see a person first, there is more to a person than the dementia. Q: What does someone with dementia look like? A: Like you and I! A care home in the North East had an elderly resident with dementia who constantly tapped her fingers on every surface. Tap, tap, tap. Tap, tap, tap. This was extremely annoying for the staff and the other residents, especially as they could not work out why she did it. One day, her niece came to visit from Australia. Naturally, the first question they asked her was “Why does she do this? !” Unfortunately, she did not know. The care home staff spent the rest of the afternoon with the niece, finding out more about the resident. One of the things they discovered was that during the Second World War she had worked at Bletchley Park and had helped to crack the Enigma code by receiving messages transmitted in Morse code! Maybe, instead of “tap, tap, tap”, it was “dot, dot, dash”! Q: What do you think changed for the resident after this? A: People’s attitude changed – they saw her as a heroine. The local papers came to do a story about her; the Scouts came to tap away in Morse code to her. Q: How do you think this might have impacted on the resident? A: Positive interaction and engagement would make her feel valued, happier, engaged, and allowed her to live well with dementia. This goes to show that there really is much more to the person than the dementia. We’ve made it clearer during the bookcase analogy that this shows how dementia could affect a person, and a reminder that dementia affects each person differently. (Pages 14-15) See the bookcase analogy here. Thanks to all the Champions who fed in their thoughts on the Information Session, and do let your RSO know if there are any changes you think we should make for the next version. Thanks for making sure you are up to date with the Information Session resources! These changes are an improvement and in my sessions yesterday included them . The teenagers we worked with follwed with good examples from their own experiences and observations. Great to hear – thanks Eileen! The teenagers we worked with folllowed with good examples from their own experiences and observations. Hi Jenny – thanks for your message. Sorry to hear you’ve been experiencing problems downloading the resources. 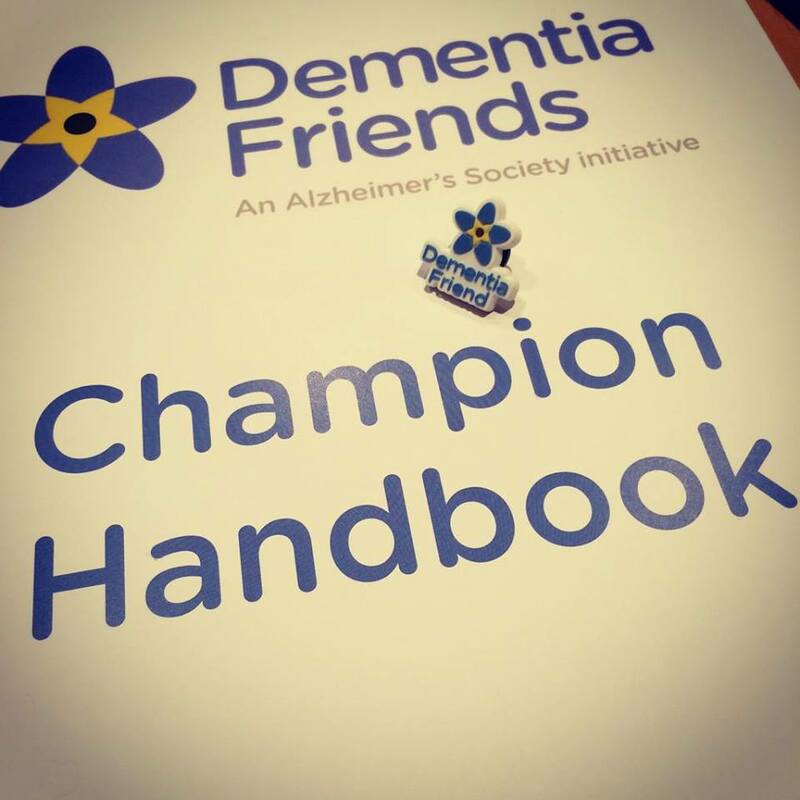 Please do let us know details of the issue by emailing dementiafriends@alzheimers.org.uk or contact your Regional Support Officer, Emily Fisher. Thanks for your updates and for considering how to best keep the materials great. I would still argue however, that we need to make clear to people that they don;t have to use Bingo to get the messages across. I personally find this so patronising, and would never use it in any session. The broken sentence are ok…but I think it makes the sessions seem childish. You can have a fun, enlightening, lively session without Bingo. It is also a potential wast of time when time is short. Hi Sally – thanks for your message. Your Regional Support Officer Hannah will be in touch to discuss further! Thank you, I have MS. and say that when the myelin is damaged( this is what happens with MS. it self destructs) we say the messages do not go straight to the brain, so “some of the lights flicker and go out” so there is a huge overlap with dementia, in fact I do not think it will be too long before there is an MS dementia, in fact in my branch there are people we suspect who do show symptoms of this, and I will ask my neurologist in Jan 2017. This really legitamises what I have tought for a while. The alterations are very clear and do make the explanations more understandable to the audience. Excellent work, thank you. Love the changes but please note that the change to the Bingo statement 9 has been added to the expanded statements in the broken sentences exercise but not to the broken sentences handout. Also the expanded statements are written specifically for the bingo exercise with the missing word highlighted. It would be helpful if the appropriate first and second part of the broken sentences could also be indicated. Perhaps by putting the second half in a different colour? Many thanks for your message. We will get the broken sentences to match as soon as possible – thanks for flagging with us. And thanks for your feedback regarding the expanded statements, we’ll be sure to take that into account in the next round of updates.